I've been rewriting the Project Bench, returning to the simpler version like a lot of people asked for. It's a WIP so it's changing a lot atm. Crafting Suite is a follow up on my original mod, Project Bench. It brings back the Project Bench, but also expands upon the original idea of it. Now the player will be able to have a more personalized experience with the benches in their world, both functionally and aesthetically. You'll have access to many things, from crafting benches that will hold onto their inventory rather than drop it, and benches that will have additional storage space that they can craft from. There will also be a variety of modifiers that one might add enhance or alter the functionality or look of the bench, I will go over those within. Crafting Suite is as of this writing in an infantile stage and has gone through some testing. There are many things planned, but not as many yet implemented as I plan to bring those in over time. First priority is get something out there that demonstrates the ideas of the future. I'll do my best to go over as much as I can in this post, but feel free to leave a comment if something doesn't have enough of an explanation. - Updated internal saving system, less broken benches and such. - Recipes for Deep Slot, Plans, and tools Modifier, along with the plan recipe now give double the items than before. - Many other tweaks, be wary of new bugs. Please report. - Fixed crash on start for servers, my bad. - Fix for benches becoming chests when they shouldn't (important update). - Added NEI shift clicking support, some modifiers have unique handling of such, check their sections. The Modification Table is the root of the entire mod at this point. It is the one stop shop for building and upgrading your benches to meet the variable needs you have. Aside from some fancy rendering, it will take and combine your components into the finalized bench. For now, it only has recipes for the original Project Bench, but more will come. Place either an already constructed bench to upgrade, or the initial modifier for the type of bench you would like to create in the first slot. This can be thought of as the base item on which you will build. This part is required. 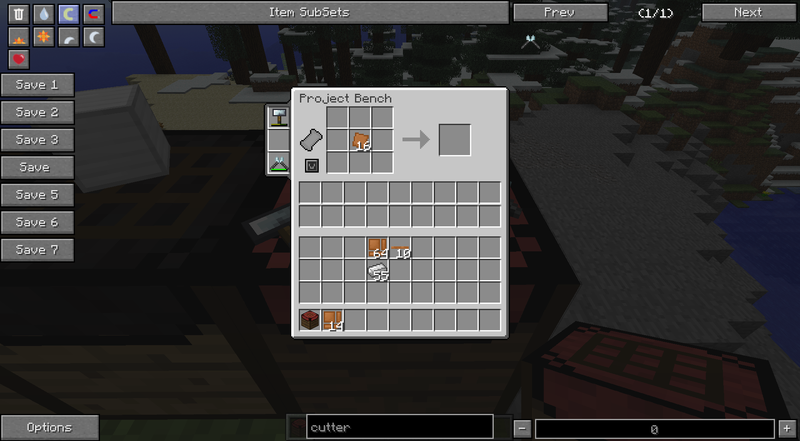 Under the Modifier section, you can place one of two types of items, either planks, which decide the appearance of the bench (partially) or a tools modifier (if upgrading a pre existing bench). 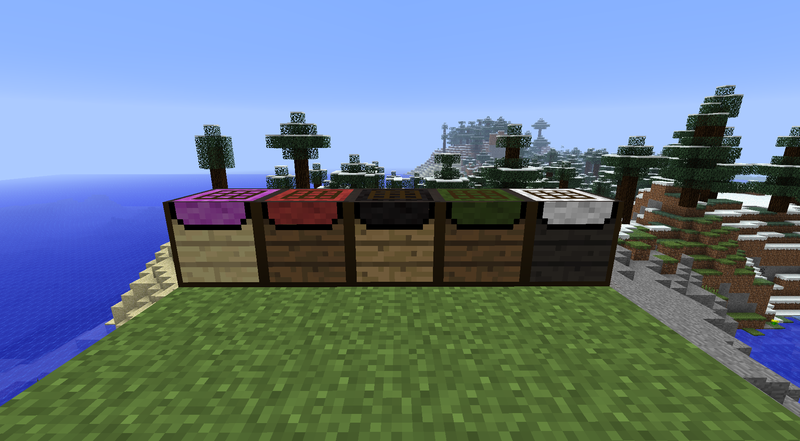 Nifty note: any plank that is properly registered with Forge will work in here, so colors galore! You will see examples of a handful of forestry planks. Finally, in the Aesthetics section you can, as of this writing, place one or two of two types of items. Most importantly, you can place carpet, which defines the top most color of the bench along with a portion of its sides. There are 15 colors to choose from, so just choose any carpet color you desire! Next you may also choose to add a block of clay. 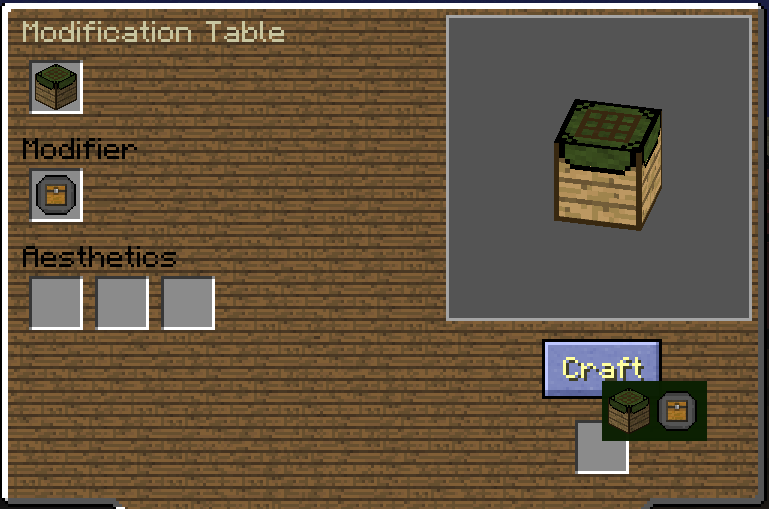 Adding clay will modify the table so that there is a render above it showing the current crafting recipe output. (Why clay? I think of moulding). 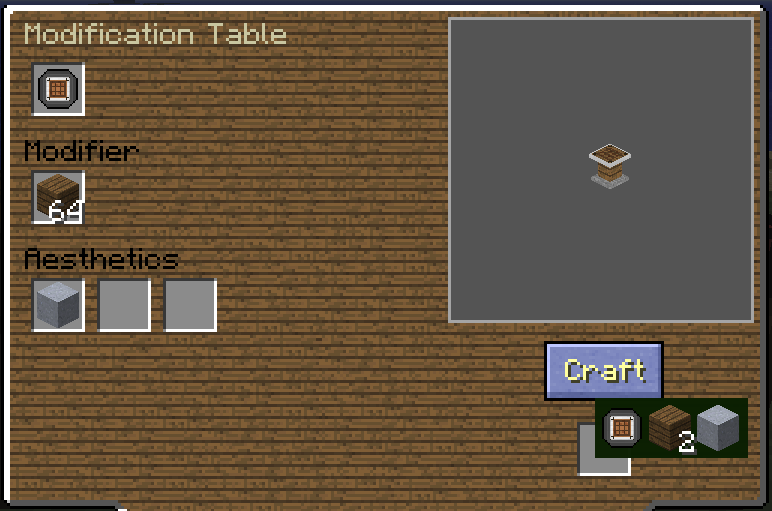 Once you decide on the modifiers to add and are ready to craft, you may want to hold shift over the Craft button to see what the table is going to consume in its recipe.Now you may click craft and the table will get to work on crafting, it takes about 10 seconds to craft. During this time you may gaze fondly at the render in the bench, or take a step back from the table and watch as your new bench rises triumphantly from the table. Or just space out and not enjoy those features which I put effort into. 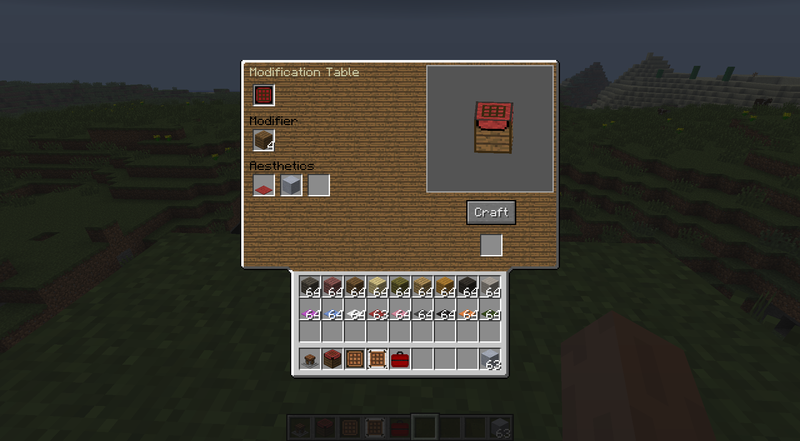 Any time there is a valid recipe in the Modification Table it will show in the right hand corner of the GUI what the final product will look like. Note that some modifiers have no effect on the render displayed on the right (for instance the Tools Modifier, or clay). .- Extraneous items in the inventory may hinder your crafting ability. - You won't be able to craft another bench if there is a result still in the slot that differs from the new recipe. Pretty colors Note that these project benches all have the clay modifier, allowing for the render atop. Also pictured here are the items that I'll get to later. The Project Bench walks and talks just like the old one, but it thinks quite differently. 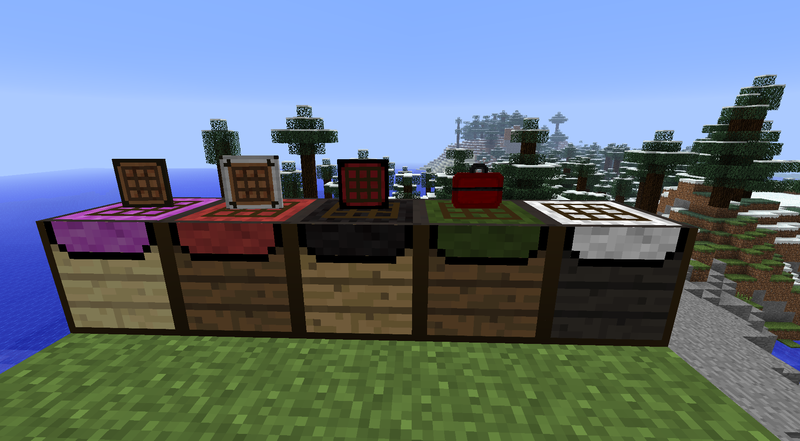 For the unaware, the basic idea is that you place a recipe in the 3x3 crafting matrix and then upon crafting, it tries to pull from the below attached 18 slots rather than the crafting grid itself. Quite useful really.Along with that, there is a visible button to the left of the matrix. Clicking this button will empty the contents of the crafting matrix into the supply matrix.What's that icon next to the middle of the matrix? Must be a visual artifact. Definitely not a future plan. - Hold shift while hovering over a Project Bench (or any bench for that matter) in your inventory to see what modifiers are already on the bench. 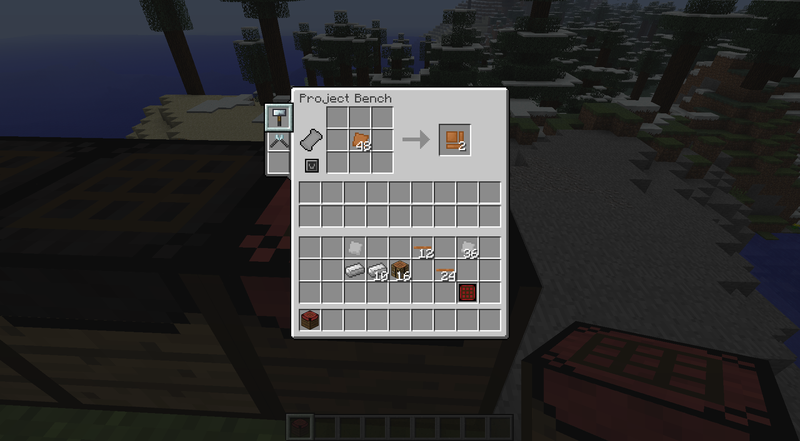 Crafted in the Modification Table, this is a simpler version of the Project bench, but more advanced than the vanilla Crafting Table. It will hold in it's crafting grid, rather than drop them, when the player closes the GUI. It accepts some of the more basic Modifiers (currently only the Deep Slot modifier). It accepts the Clay (for render) upgrade, but does not currently support cloth upgrades. Accepts different types of wood to change its appearance (functionality remains the same). Upgrading a Project Bench (only one that has access to this modifier at the time of this writing) with the Plan Modifier will allow the use of plans with the bench. If you're at all familiar with the old Red Power 2 implementation of plans, it's basically the same. If not, you're in for a treat. With plans, you can place a recipe in the bench, drop in a blank plan to the plan slot (the one with the fancy background) and then write the plan, with the button to left (looks vaguely like a blank plan). Once written, that plan will always remember the recipe you wrote to it. As you can see above, a piston plan was written to it. 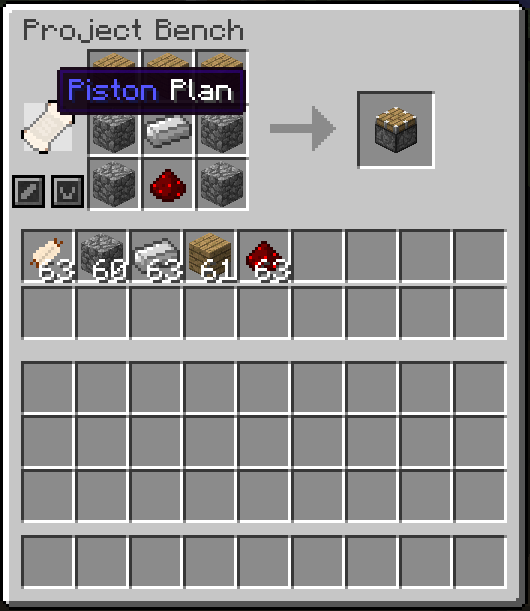 It will now show up as "Piston Plan" rather than Blank Plan. 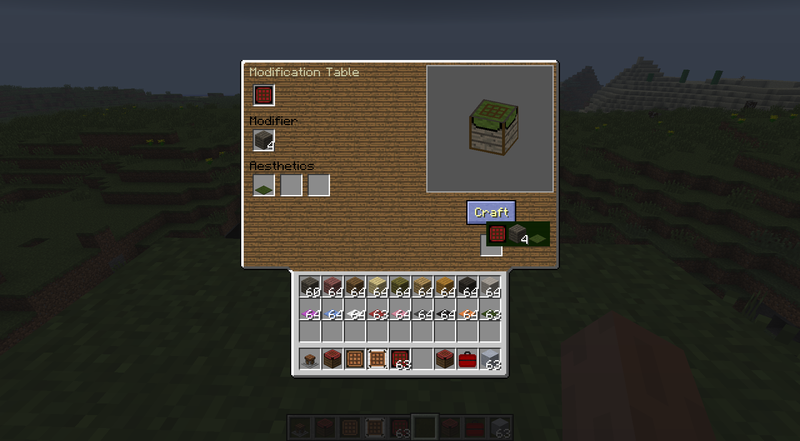 Placing that now written plan into the slot will allow you to craft that recipe without physically placing the items into the crafting area, it will pull directly from the supply area. Fantastic. - Plans will attempt to use any type of item from the OreDictionary, if applicable. - See below for the recipes for plans and the modifier. - This supports NEI shift clicking of the question mark, but it has unique behavior. If you have all the materials AND a plan for that item in your, or the bench's inventory, it will transfer the plan directly into the plan slot and the materials into the supply area rather than into the crafting area. Step 1: Write the recipe to the plan. Step 4: Enjoy the simplified crafting of those annoying repetitive recipes. The Deep Slot Modifier installs a special slot to the side of the inventory. This slot will hold 6x the max stack size of the item placed in it. This means, for your average item it'll be 384 items. Nice for the bench that needs a seemingly endless supply of one item or another. - The crafting area will pull from this slot rather than the crafting grid or the supply matrix (if applicable). It is the preferred source of items (after excess in the crafting grid). - You can't shift click out of this slot, just interact with it as normal. - It can be a tiny bit temperamental from time to time. Just give it a good furious clicking if it's misbehaving. Typically resolves itself. The Tools Modifier is a modifier that adds an additional several slots for tools to be placed alongside the normal inventory of the bench. It is currently only implemented in the Project Bench, but it will be available for all benches at a future time. Items can only be placed in these three slots if they appear to be tools, as in the item can take damage. Use right click to place them into the slot. Once in the slot, the can be accessed quickly to be added to the matrix (remember, RIGHT CLICK to access the item). Left clicking on the item once in the slot will activate that item. 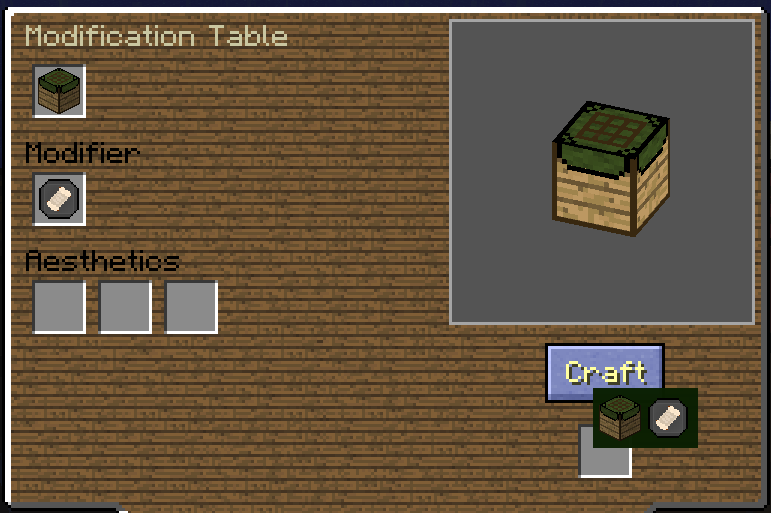 Once activated, the item will be automatically added to the crafting matrix (it's rendered in the matrix but you cannot interact with it there). As a consequence, if there is a tool selected but you place the items for a crafting bench in, it won't work because the tool is considered to be within the matrix. Simply left click again to deselect the tool.An example, all you have to do is put, say the Copper Plate (IC2) in the matrix, and click the Hammer (IC2 again) and it will automatically add the Hammer and the appropriate crafting recipe will be displayed. -Shift clicking a tool will automatically place it in the Tool slots on the left. -Note fancy pants rendering on top of the table. 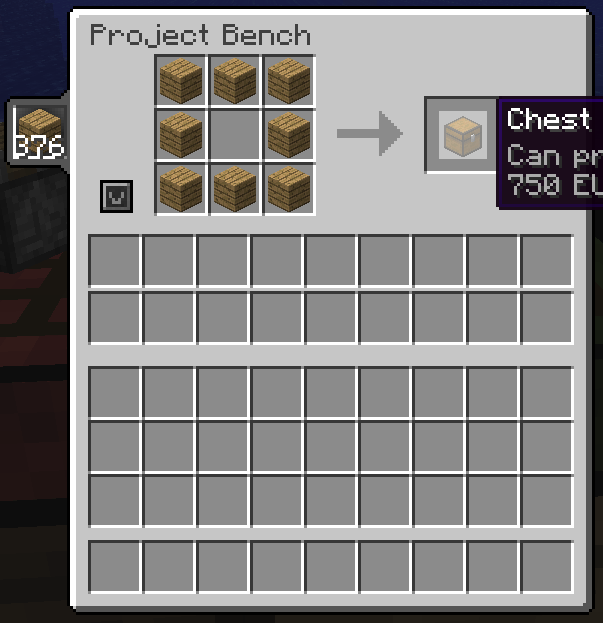 - 0.2.1.4: Internal changes to how the benches are saved, reduces clear benches and crashy-ness. Some recipes, i.e. Tool, Deep Slot, Plans Modifier, and Plans now give double the items than previously. - 0.2.1.3: Fixed a crash on start for dedicated servers in relation to particles being added. - 0.2.1.2: Fix for benches becoming chests when they shouldn't be. - 0.2.1.1: NEI Usage and Recipe support. Tooltips always show modifiers on a bench now. 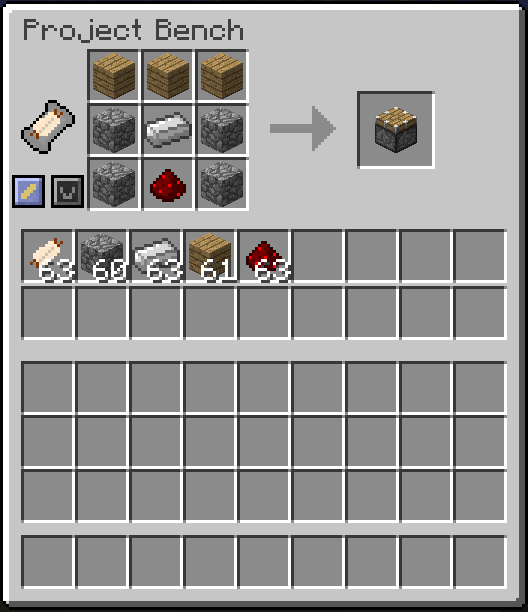 Plans should now longer use incorrect Ore Dictionary stacks (verify please). Crash resolved that occurred when using up tool in crafting recipe then trying to craft something again in bench with Tool Modifier. - 0.2.1.0: Plans, Deep Slot, NEI Shift Click, Modded Table, Localization support, many internal tweaks. Check commits for more detailed changes. - 0.1.8.1: Fixed NPE, added tool render atop the bench. - 0.1.8: Initial release. 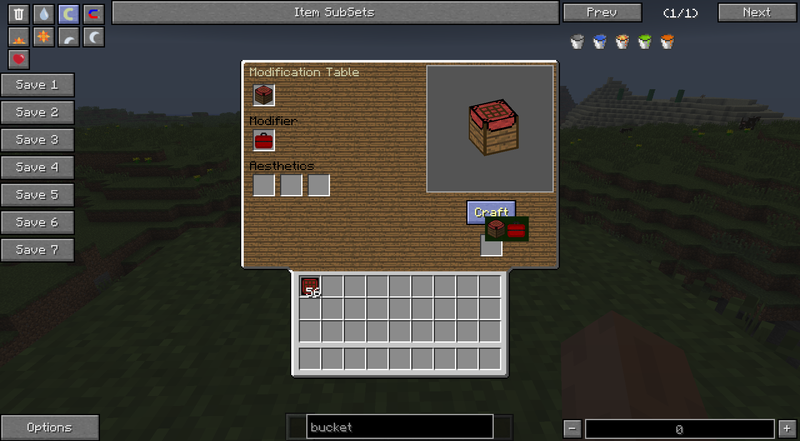 Added Modification Table, Holding, Crafting, Storing, and Tools Modifiers, added language support and version checking. - v0.1.8 - v0.2.1.0: Forge: Built against version 9.11.1.916. - Glitchy rendering if using Fast graphics, as opposed to fancy graphics. - Deep Slot shows incorrect stack size (1) for other players on server. This is because stacks are sent in packets where stack size is written as a byte and therefore doesn't support stack sizes greater than 127. Functionality is intact, no duping or anything. Just seem a bit screwy. Will look for a fix . - If you have a GitHub account, open an issue there, that is the best way to reach me. You can find the repo here. - If no GitHub, post a comment. Include crash report, at the very least the stack trace portion of it. Also, since it has gotten more complex, please leave note of how you produced the bug, or what you were doing when the crash happened. - MyEternity: translation to Russian. - chicken_bones: Not Enough Items to improve some aspects of the Benches (see below for legal stuff). This work is licensed under the Public License version 3. It is an open source mod, and therefore much privileges are given to the users. You are free to distribute the mod and edit it if you wish. However, no monetary gain shall be had unless you explicitly consult me and I, the mod author, allow it. Additionally, credit is required to be included upon redistributing it. - Mod pack authors, this means that you may include Crafting Suite and all updates to which this licensing is still applicable without asking me directly. Please leave credit for me somewhere in the mix. Also, I will be selectively willing to include a section listing the mod packs using Crafting Suite if you message me and notify me of that wish. This mod now includes a redistribution of an NEI class. I, the mod author, have altered the original file as provided by chicken_bones. The appropriate steps have been taken to comply with his redistribution wishes as detailed under the forum topic for the ChickenBones mods. Furthermore, the sections that were edited within the class have been marked for easy comparison. These steps were taken to complete compatibility of Crafting Suite with the functionality of the overlay (shift clicking of the ?). Yeah, I've redone it three times, and it wipes the formatting every time. Mildly annoying. 1.6.2 support? Unless you can help me with moving my 200mods 1.6.2 modpack on 1.6.4. Awesome new mod bau_5 love the new features! Keep it up mate! Cool stuff, I will try it out very soon! Great!Now i can stop throwing my items on the floor when i am missing some copper!And i can just put the hammer there and live a good life! That's the idea of it Plus more, of course! Looking great! 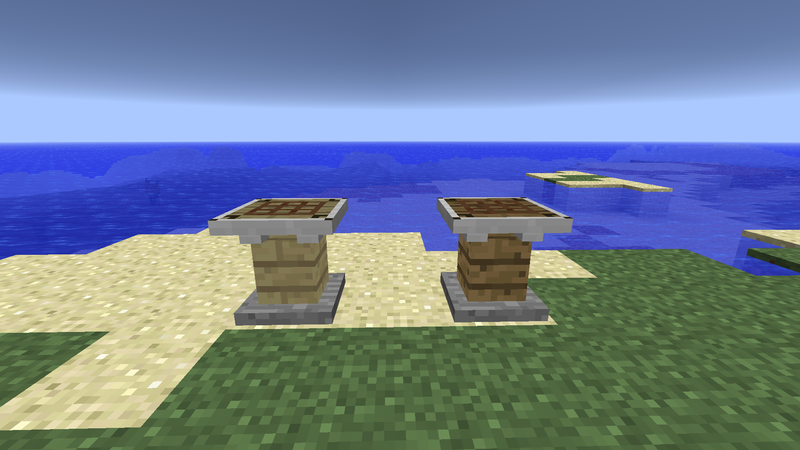 The modifiers and whatnot can now give a definite system of crafting table tiers with other mods. 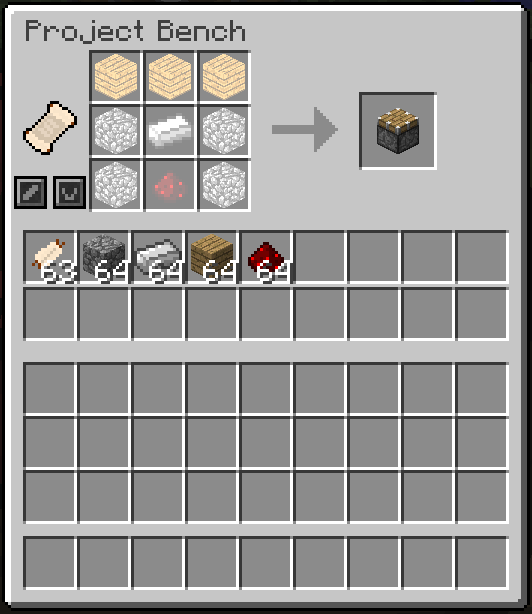 (It also suits vanilla, too) Tier 1 = Crafting Table (The table we all know and love) Tier 2 = Crafting Station, Crafting Station Slab (Same as vanilla, but doesn't drop items when the gui is closed) Tier 3 = Arcane Workbench, Worktable, Crafting Suite, ME Crafting Terminal (Specialised tables geared towards specific tasks, making a couple of the more tedious tasks easier, and in crafting suite's case, are modular. They are also capable of doing regular crafting recipes) Tier 4 = Molecular Assembly Chamber, Auto Workbench, Advanced Crafting Table, Assembly Table with Lasers (Completely automatic crafting. Just set the recipe, supply materials, and away you go) Beforehand, I could just skip tier 2 altogether and get a project bench. If your page gets HTML-ized, simply edit the post again and, with all of the scrambled text, hit 'Use Full Editor', as it automatically fixes most of the issues. The only things you'll need to fix are commas, apostrophes, and quotes. The mod is really cool. I love the Project Bench mod, and now this is taking it to a new level! Thank God that mine doesn't lag, Render Distance at Normal, 60FPS no spikes! Very cool concept, and original. (as much as I liked and used project bench... it was just a RP2 mechanic fill-in =P). I will need to tinker with this, slight pun intended. Thanks for the report, looks like you somehow managed to acquire a stack with a broken tag. What did you do to get it? The easy answer is any wood that is in the OreDictionary. It's on behalf of the mod authors to register it. Forestry, Biomes o plenty, extra biomes etc should be supported. Forestry is the only one I've tested, but it shouldn't matter. Very cool concept, and original. (as much as I liked and used project bench... it was just a RP2 mechanic fill-in =P). I will need to tinker with this, slight pun intended. Glad you like it, trying to add some more appeal to it! The only thing holding me back from switching is the fact that it doesn't have a recursive (via config file changeable) recipe search with the materials in inventory. Say I have a stack of wood logs in my inventory, opening the bench up with the modifier looks up all recipes and displays them that can be crafted from the stack of wood logs. This is something that EasyCrafting does, but that mod hasn't seen any update in a long itme, even though there's an user irregularly updating this. This mod offers more and I'd like to switch one such a feature would be implemented. I'm aware a recursive recipe search can be very taxing on system, which is why it should be an optional modifier. You either user it or don't. Updated to resolve this crash. And it now renders the tool in the matrix. Note that the default behavior of a selected tool is that it is placed in the middle of the grid, for shaped crafting, place the items appropriately around there. This looks great! I might use this in my (future) modpack. "To ere is human, To arr is pirate"
Whoa! This looks awesome! I just decided on a whim to check out the old topic to check for updates and lo and behold a huge new mod! I can't wait to play with it! Loved the original and this looks great too! Keep up the great work! Also, your plastic pellet recipe conflicts with Mariculture silicon recipe. It overwrittes it. This is awesome! And I see you fixed the bug where if you walking over the image above the table it would disapear. I was wondering if it would be possible to add nei support for how to make any table. I really had trouble trying to figure out what goes where, or how to make a table. I was also thinking, could you add a config option that also enables a regular recipe for a standard project bench? or maybe it doesn't look that special, like it doesn't have any color, then after you could go modify it with the modification table to have carpet, or something? But we could also still make the tables from nothing in the same bench? Really, I just mean to say, its tough to figure out how to make one. Thanks for this awesome update though! I am so going to use this mod! Oh I just checked and you already can take a table without any color and add carpet to it! I guess I just was hopping for a recipe for that table. not a big deal at all though. Alternatively you could message this user, since he/she seems to have updated it to the 1.6.4 version. That said, recursive and non-intensive don't go hand in hand (usually). So there's no way to get one without the another unfortunately. 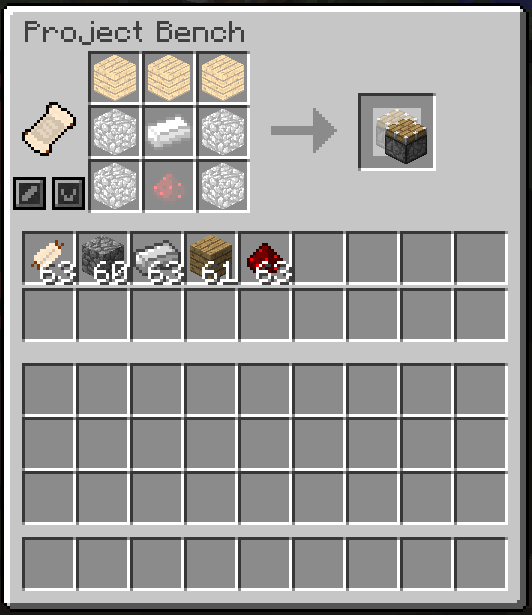 Yeah, I'm thinking I'll add a custom NEI recipe thing so that it shows you how to make it, I know that it is pretty non-intuitive, but I want to stick with the Modification Table. With time, I'll make it more friendly to those who haven't used it yet without detracting from the complicated nature of it.